Product prices and availability are accurate as of 2019-04-17 07:56:39 EDT and are subject to change. Any price and availability information displayed on http://www.amazon.com/ at the time of purchase will apply to the purchase of this product. Everyone loves a cold, refreshing, and healthy smoothie but no one likes cleaning up the sticky mess usually left over from making one. 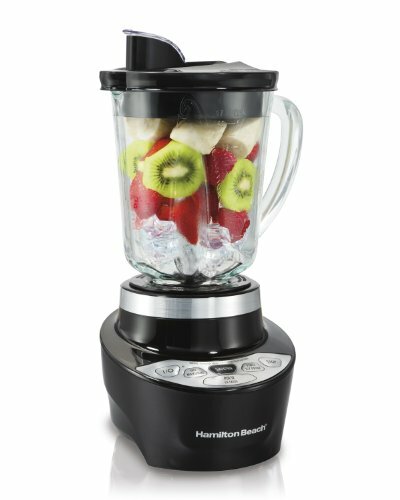 The Hamilton Beach Smoothie Smart Blender is designed with this specific issue in mind - it features a patented, no mess pouring spout that prevents drips and dribbles so you won't have to wipe down your countertop every time you use it. Plus, the touchpad controls are easy to clean. But a blender is most importantly about its blending action, and this 700 watt peak power motor operates Ice Sabre blades that finely crush ice in a matter of seconds. With 5 blending modes ranging from pulse to mix to puree, this machine is as versatile as it is clean. Making a perfectly blended smoothie has never been easier thanks to the Auto Smoothie button that enables a 45-second blending cycle with pulse action to expertly crush ice before switching to low-speed/high-speed mixing for a smoother drink. And, if 45 seconds is just too long to wait, this smart smoothie blender comes equipped with an automatic shut-off feature that prevents over-blending. The blender uses the Wave Action System that actually pulls ingredients to the bottom of the blender for better, smoother results with no need to stop the blender to stir. The glass jar is odor and stain proof as well as scratch resistant, and the blades and jar are dishwasher safe. 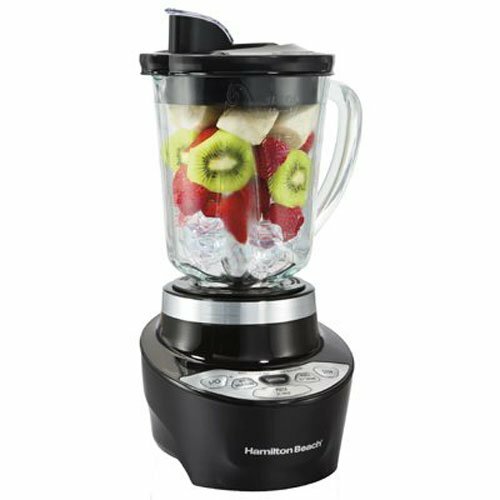 The blender even comes with a cord storage area underneath its base to limit the amount of counter space it takes up when not in use. 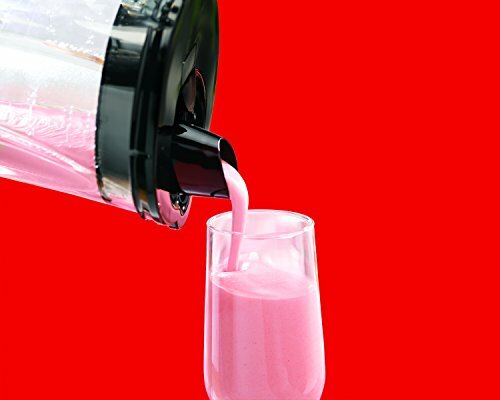 Always enjoy a perfect smoothie and never worry about the mess with this smart blender! Dimensions: 7.8 W x 7.7 D x 14.4 H in.. 700 watt peak power. Features 5 different blending options. Dishwasher safe blades, jar, and lid. Automatic 45 sec. smoothie cycle. Automatic shut-off to prevent over-blending. Ice Sabre blades and Wave Action System for better smoothies. Comes with 40 oz. glass jar.